Chapter 13 bankruptcy reorganization is a plan for wage earners with regular income that allows debtors to keep assets while paying down their creditors in three to five years. Although Chapter 13 plans protect homes, surrendering the property during bankruptcy can help a homeowner discharge significant mortgage debt and make the repayment process easier. Fill out official Chapter 13 bankruptcy forms that require you to list debts and assets, identify creditors, and provide financial information. The necessary forms are available at the bankruptcy court for your district. Create a reasonable plan to repay creditors over time that surrenders the home. When creating the repayment plan, you need to specifically articulate your intention to surrender the home. If your plan is vague or incomplete in its intent to repay creditors and surrender the home, it will not be accepted. File the Chapter 13 petition, which includes the official forms and repayment plan that notes your intention to surrender the home, with the bankruptcy court. Every state has a directory that provides the addresses for its bankruptcy courts; you can look online to identify the appropriate location to file the bankruptcy petition. When filing the Chapter 13 forms and repayment plan, you will be required to pay fees to the court. Confirm the Chapter 13 plan at a bankruptcy hearing scheduled by the court after the initial documents are filed. During the hearing, the judge will review the plan with you, confirm your intention to surrender the home, and explain what effect surrendering the home will have on the bankruptcy debt should there be questions. If the Chapter 13 plan is satisfactory, the judge will officially approve it and allow you to surrender the property. 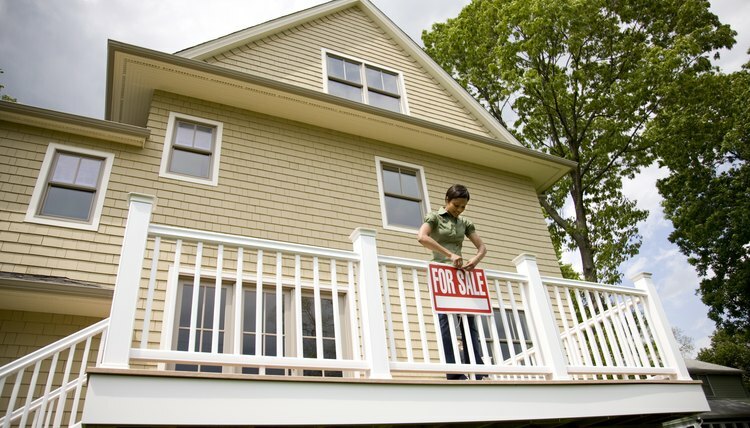 Prepare to move out of the home before the foreclosure sale. After the confirmation hearing in which the home is surrendered, the lender responsible for the mortgage will be allowed by the court to foreclose the home. Within 90 to 120 days, the bankruptcy court will set a date for the foreclosure sale. Once notified of the sale date, you can move out before it occurs. If you've fallen behind on your mortgage payments, catching up may prove challenging. Not only do mortgage companies add late fees to your unpaid debt, they also have the option to refuse partial payments. After a certain amount of time – often 90 days – your mortgage lender can "accelerate" your loan and demand you pay the loan balance in full. If you can't catch up, your lender will seize your home through foreclosure. Chapter 13 bankruptcy is one tool you can use to gain control of your debt while maintaining ownership of your home.